Fall and winter are great times of the year to put your home on the market in the Twin Cities and contrary to popular belief, it is possible to have success selling your home during the holidays. Here are a few ways that you can attract the right buyers. Buyers looking for homes during the cooler, less popular months of the year tend to be more serious about finding a home, which is good news for sellers. Unfortunately, many major holidays occur during this time of year, which is a downside for sellers who enjoy entertaining. Thankfully, it’s possible to keep your home on the market and enjoy the holiday season. If you’re a person who enjoys filling their home with holiday decorations, you’re going to have to tone it down this year. That doesn’t mean you can’t decorate at all, but keep in mind that buyers might have a hard time imagining themselves in your living space if it’s jam packed with mementos and holiday cheer. A few tasteful decorations around your home can still leave you with that bubbly feeling and won’t make your buyers uncomfortable. No matter what time of the year you put your home on the market, strong smells and personal items are a no-no, so quickly remove family photos and try to refrain from lighting a holiday spice scented candle in every room before showings and open houses. It’s also worth noting that not every buyer is going to celebrate the same holidays as you do. While you might not see the point in changing the way you enjoy the season for someone else, you have to remember that your main goal is to get your home sold. Don’t do anything to jeopardize that. You never know if the right buyer is going to only be available to look at your home during the time that you’ve planned a holiday party. You can take the risk of letting your real estate agent know the property is unavailable to show, but at the end of the day you’ll have to decide if you’d rather have the memory of a party or have your home under contract. Tag team with a friend or family member, and agree to help them host this year’s party at their home. Winter, in particular, is a season for staying indoors, and after a long day, the last thing you probably want to do is get bundled up to go wait in the cold while someone comes to look at your home. It’s important to remember that buyers looking at homes during the colder months are probably only looking at homes that they’re seriously considering buying. (They have to get bundled up, too.) Be open to open houses and showings, even if you’d rather stay home. The ice and snow of an Minnesota winter can create potentially dangerous situations if walkways and sidewalks are not maintained. You should make an effort to keep them clean regardless of whether a showing or an open house is scheduled, but you especially need to do it if one is. Nothing will turn a buyer off of your home more than an ice skating rink for a walkway and a broken ankle as a souvenir of the visit. If you keep your home clean and safe, stay flexible, and don’t go nuts with decorations, selling your home during the holidays is no different than selling your home during any other time of the year. As long as it’s in good condition and priced correctly, you should have no trouble selling in the current Twin Cities market. 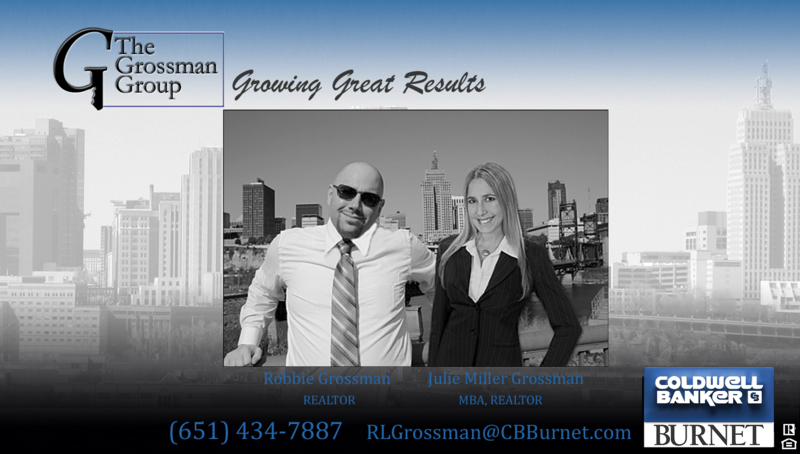 Call the Grossman Group at (651) 434-7887, or email RLGrossman@CBBurnet.com, for more advice and the best marketing for your home in the Twin Cities area. We explored how the residential market might fare under the new President’s administration (How the Housing Market Will Fare Under Either Presidential Candidate, Nov. 8). What we have already seen, however, is a rise in mortgage interest rates — though they remain under 4%. Why? “It all started after President-elect Donald Trump won the US election. One of Trump’s big plans is a fiscal-spending splurge: big investments in infrastructure, and cuts to the US’ towering corporate tax rates. Meanwhile, Janet Yellen has indicated to Congress that interest rates could be raised soon. The chairwoman of the Federal Reserve said on Thursday that an interest rate hike “could well become appropriate relatively soon” (Fox Business, Nov. 18). It is good news for homebuyers at this time: rates remain below 4%, and the real estate market remains healthy with housing starts hitting a nine year high this October (Bloomberg, Nov. 17). But with rates likely to rise soon, homebuyers may have less to spend for their homes come spring. In commercial real estate news, Marcus & Millichap published their report on the election, and the news was largely positive. “The news was largely positive. On the plus side, Marcus & Millichap said that the U.S. economy should continue to grow as the new president takes office. As the company says, the U.S. economy is now in its seventh year of a durable but moderate expansion. Marcus & Millichap says that 2 million to 2.5 million new jobs should be added during the next year. The country currently has an unemployment rate of 5 percent and 5.5 million unfilled job openings. Marcus & Millichap predicts that unless an unexpected surprise hits the country, the economy will continue to grow, something that will result in an increase in commercial real estate construction, leases and sales” (Trump won. 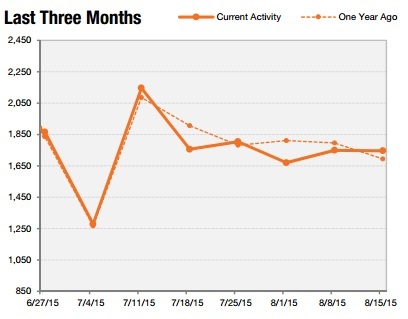 What does that mean for commercial real estate? Dan Rafter, Nov. 16). Which Home Improvement Projects Offer the Highest Return on Investment? See the entire list from the Star Tribune here. MarketWatch reports on new data from RealtyTrac that in March, US homeowners realized the highest price gains since December 2007. On average, homes sold for $30,500 more than purchase price, an average gain of 17%. The Twin Cities is seeing a return to near pre-recession prices, as illustrated in the chart below. The Grossman Group’s listing at 1836 Wordsworth Avenue in Highland Park has now been sold (sale pending) in under a week. As previously mentioned, we are seeing a lot of activity and interest in our listing on 2077 Scheffer Avenue, also in Highland Park, in this past week. 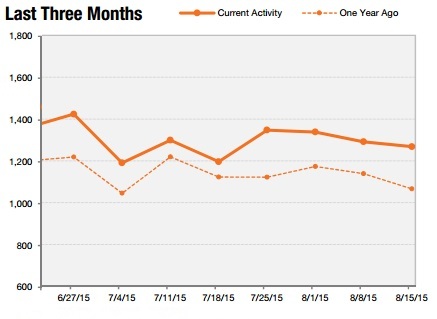 Inventory is low, reducing the competition, and sales prices are high. The market, especially in our local area, is booming, despite the cold weather and snow. Like the groundhogs, we’re seeing signs of an early spring! Here are some of the factors contributing to the hot market in Minneapolis, Saint Paul, and Highland Park. Gallup’s annual job creation report has ranked Minnesota number one in the nation for job creation, and recently, CNBC ranked Minnesota best in the nation for business. (Kare11, January 31). Last August, Forbes ranked Minnesota the fastest growing state for technology jobs. Says Charlie Weaver, executive director of the Minnesota Business Partnership, “The business outlook in Minnesota for 2016 is pretty strong because we are blessed with several large corporations, a lot of different industries.” Currently, he reported, Minnesota has more jobs than employees, making Minnesota a hotbed for relocation. 2015 ended with the highest existing home sales since 2006, reports Forbes and the Star Tribune (January 22). “Sales of previously-owned homes surged 14.7% in December in the largest monthly increase the National Association of Realtors has ever recorded, the trade group said Friday. Newsweek released its top 500 high schools in the nation, and 10 Minnesota schools have made the list (“10 Minnesota High Schools Make Newsweek’s Top 500,” WCCO, Aug 19). Based on their rankings and criteria, Edina High School is the top school in Minnesota and #71 nationally. Other cities include Orono (#101) with 100% graduation rate and 95% of those students attending college, Wayzata at 150 and Eagan at 197, and Minnetonka (292), Stillwater (326), Mound-Westonka (400), St. Anthony Village (403), Lakeville North (417) and Prior Lake (463). Money Magazine also released its list, of Best Small Cities to live, with Chanhassen coming in at #7 (“Minnesota cities rank high on Money magazine’s best small places to live” Minneapolis-Saint Paul Business Journal, Aug 19). Other cities on the list include Rosemount and Edina (at #12 and #15). US rental costs continue to rise, reports the Associated Press (“US home rents surge 4.2 percent from a year ago; apartment demand shows shift from ownership,” Fox Business, Aug 26). Minneapolis was named as one city in which rents are rising, along with home affordability, creating an ideal time for renters to consider purchasing. 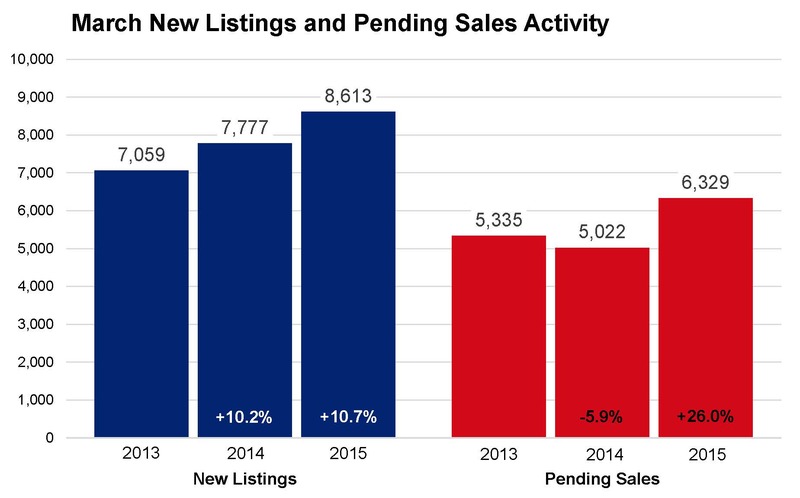 In the Twin Cities region, new listings are up from one year ago, while pending sales continue to trend above this time last year. Both are up this past week, while overall inventory is down, indicating a great time to list your home. Average long term US mortgage rates are back down after hitting their highest levels this year (Average US rate on 30-year mortgage eases to 4 percent; 15-year rate at 3.23 percent, Star Tribune Your Money, June 18). On Wednesday, the Federal Reserve appeared ready to raise interest rates for the first time in nearly a decade, due in part to Tuesday’s government report that home construction rates remain significantly higher than a year ago. Many hold “the belief that the economy no longer needs the stimulus of near-zero rates.” Nonetheless, the housing market has been “bolstered [by] the economic improvement and stronger employment picture,” and remains strong for both buyers and sellers. In area developments, the Timberwolves and Minneapolis have signed a redevelopment agreement for the $129 million renovation of the Target Center (Timberwolves, Minneapolis sign Target Center redevelopment pact, Minneapolis / St. Paul Business Journal, June 19). Detailed design work will begin, with the bulk of the project expected to start in 2016 and wrap in 2017, said the Timberwolves and the Minnesota Lynx in a statement on Thursday. The Target Center is said to be the 6th busiest building in the nation and the 17th busiest in the world, hosting 200 events and a million visitors annually. The American Association of Retired Persons (AARP) has named Saint Paul its 2nd most Livable City for Persons 50+, citing the city’s assistance to developers converting vacant structures into condos and lofts, as well as the Light Rail. Minneapolis also ranked in the top 10, at coming in at #5 (AARP Bulletin, May 2015). According to data released by the Minneapolis Association of Realtors, in April, pending sales for the Twin Cities region reached the highest level since June 2005. Offers increased 26% from this time last year, along with a rise in listings. Another institution, Saint Paul’s Tavern on Grand, may be turning off its famous sign soon. No, they’re not closing – but neighbors in the Summit Hill neighborhood have complained that the lights are just too bright and remain flashing too long each evening. If the sign has been as it currently is since before 1981, however, they’ll be grandfathered in from before the city ordinance. If you want a sign in front of your home that catches attention, call Miller Grossman at (651) 434-7887 (millergrossman@cbburnet.com) for your real estate needs, to take advantage of this great market.